Easter Sunday is the most important Christian holiday. On Easter day, we celebrate Jesus Christ’s resurrection from the dead. Christians believe that the Lord came back to life three days after his death. It is a movable feast, thus falling on different dates each year. Traditions range depending on which part of the globe we are in, but we are all bound by the same joyful greeting “Happy Easter!”. Jesus Christ’s resurrection symbolizes the eternal life granted to all people who believe in Him. It is a complete proof of all that the Lord preached and taught during his lifetime. However, this spring feast did not always symbolize the resurrection of Christ. It was originally a pagan festivity of renewal and rebirth. Unlike most holidays, this feast doesn’t fall on a set date. Christian churches in the West hold celebrations on the first Sunday after the Paschal full moon. The Paschal full moon is the first full moon after March 21, known as the spring equinox. Therefore, Easter can be set anytime between March 22 and April 25. Orthodox Christians, on the other hand, use the Julian calendar when fixing the date for this holiday. It usually occurs a week or two after Christian churches in the West. Western Churches follow the Gregorian calendar. Who Decided When to Celebrate It? The First Council of Nicea decided that Easter Day should fall on the first full moon after the Vernal Equinox. It was also determined that it should always fall on a Sunday, representing the day of Christ’s Resurrection. Easter Sunday 2016 has now passed. Western churches celebrated Easter Sunday on March 27 and Easter Monday on March 28. Eastern churches held the fest on May 1, the second day of Easter falling on May 2. Easter Sunday 2017 will be welcomed by both Catholic and Orthodox Christians on April 16. This is a deeply religious holiday, but it has become a highly commercial event. Around the feast, expect to see all stores stocking up on chocolate bunnies and eggs, Easter Sunday Bunny figurines, decorated Easter baskets, and traditional cakes and meats. But what is the connection between dyed eggs, bunnies, and the Easter Sunday holiday? Although a Christian feast, the word “Easter” is believed to come from Eostre, a pagan goddess. This goddess of spring and fertility is said to have found a dying bird who was suffering from hypothermia. Eostre turned the bird into a rabbit so that its fur keeps it warm. The bunny, however, laid eggs just like a bird. That is one funny theory, but in another version of the story, the bunny paints eggs as a sign of loyalty and love to its savior. Apart from the pagan folklore tales, a more religious belief is that Easter Sunday eggs are related to Mary Magdalene. She was the first person to see Jesus Christ after the Resurrection. Holding a plain egg, she proclaimed the Resurrection of the Lord in the presence of an emperor. The emperor was not convinced. He stated that a person rising from the dead was as likely as an egg turning red. Then, the egg is said to have turned bright red. Now Christians all across the globe paint eggs red or other colors to celebrate Jesus Christ’s return from death. Another theory suggests that the word “Easter” derives from the Greek and Latin “Pascha” or “Pasch” – for Passover. The Lord’s crucifixion and then resurrection occurred after He celebrated the Passover in Jerusalem. This was a Jewish festival that commemorated the Israelites’ exodus from slavery in Egypt. Receiving and giving chocolate eggs on this holiday is another popular custom. This tradition is believed to have begun in the 19th-century France and Germany. European children were told to make nests or baskets so that the Easter Bunny could leave the special eggs in there. The tradition spread across Europe and all the way to the United States. Apart from dyed boiled eggs and chocolate eggs, another typical food is lamb. Lamb is traditional because the Lord is said to have eaten lamb at his last supper. Pork is also a common meat on the table during this holiday. Salted pork lasts through the winter and can be eaten in spring. An important part of celebrating this holiday is attending Easter Sunday services. Almost every Christian church across the Earth offer a service on Sunday. It’s a good way to bring family and friends together and focus on the religious messages that accompany the feast. 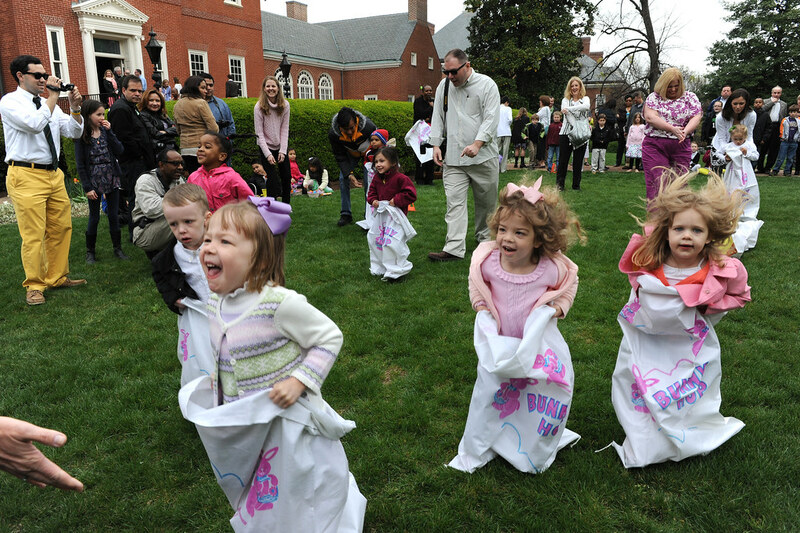 Another way to approach the holiday is by going on egg hunts. Popular among active people and children, these scavenger hunts for eggs are a fun activity that can make your celebration even more enjoyable. These hunts should be challenging but not too difficult. In some parts of the world, local communities and organizations run large egg hunts that are open to everyone.